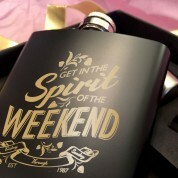 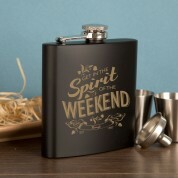 Get into the spirit of the weekend with our stunning matte black anodised hip flask. 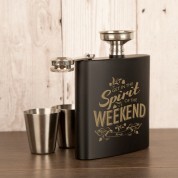 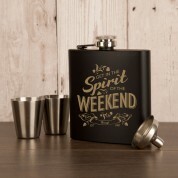 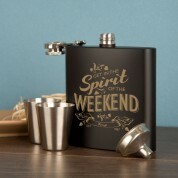 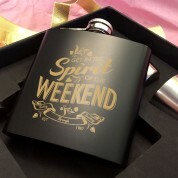 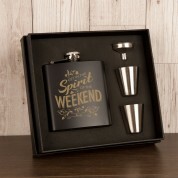 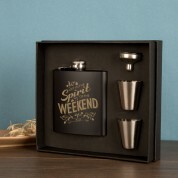 Designed and engraved in house by our talented team, it will make the perfect gift for the party animal in your family… and with a personal touch. 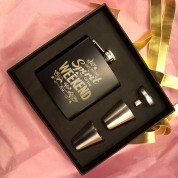 This beautiful set comes in a lovely black presentation box with two measuring cups and a funnel for easy filling.